Edith Nesbit (1858-1924) is considered the first modern writer for children and a key influence for writers from C.S. Lewis to J.K. Rowling. Inventor of the children’s adventure story, her books remain hugely popular and are regularly adapted for stage and screen. A founder member of the Fabian Society and ‘a committed if distinctly eccentric socialist’, she railed against inequity, social injustice and state-sponsored oppression, incorporating her views into her books and influencing generations of children. 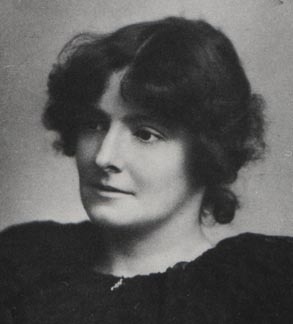 Described by George Bernard Shaw, one of a string of lovers, as ‘audaciously unconventional’, Nesbit’s unsettled childhood and vivid imagination conjured up fears and phobias that lasted into adulthood; she confronted them in the stories she populated with family, friends, lovers, and events from her life, often writing herself as twins – one brave, one retiring. A progressive woman, she cut her hair short and smoked incessantly. Yet, she never supported women’s suffrage and she remained loyal to her serially unfaithful husband, raising his live-in-lover’s children as her own. This new biography, the first in more than two decades, will explore one of our most important writers in all her guises. Friends agreed ‘she could be morose as a gathering thundercloud…when she emerged – a sunburst!’ One described her as ‘wise – and frivolous; kind…and so intolerant’. She was intensely attractive to men and formed deep friendships with women too. Temperamental at times, she was also huge fun, always creative and often playful. Her parties were legendary, her ghost stories, terrifying, and her tales of adventure changed the world. Publication (c) early 2018 all going well! Thanks so much Anne. That is a coincidence! She had such a fascinating life & is a great subject for me to tackle. Looking forward to the research & writing! Thanks Cathy! She’s a wonderful subject. Congratulations Eleanor! Nesbit sounds fascinating! Thanks Anne. I’m such a fan – it’s a pleasure to research & write about her! Thanks so much! Such a fascinating and influential woman. I’m very excited to be writing about her. Seriously, best wishes and congratulations! Of course. I just wanted to make a Nesbit joke. I’m happy to wait. You have the hard part of writing it.